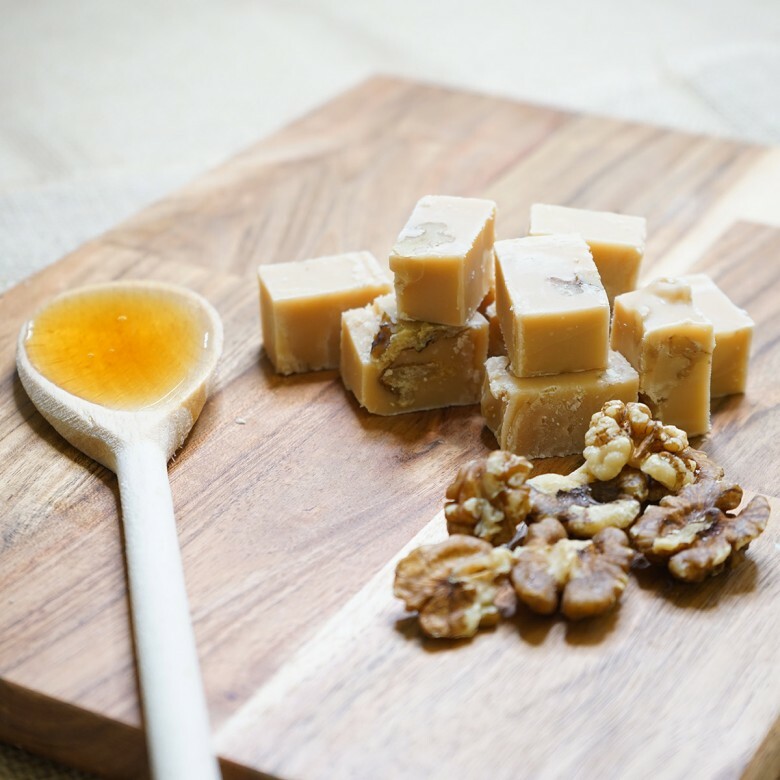 Maple Walnut Fudge - Indulge in the classic collaboration we don’t cut back on this made with extra handfuls of the woody walnut taste the rough edges of the crunchy natural Walnuts, and lashing of succulent sweet Canadian Maple syrup flavours. 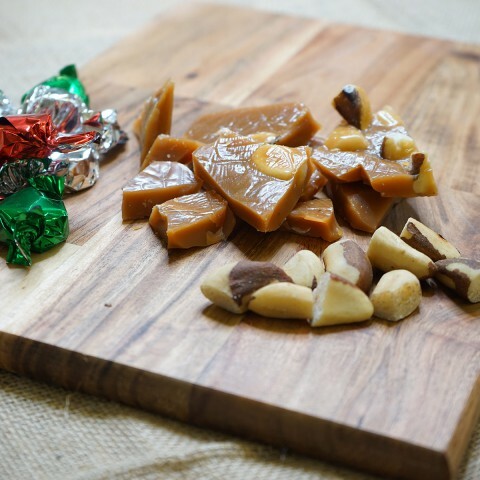 Ingredients list: sugar, MILK, glucose syrup, palm oil, butter, salt, flavourings, NUTS. 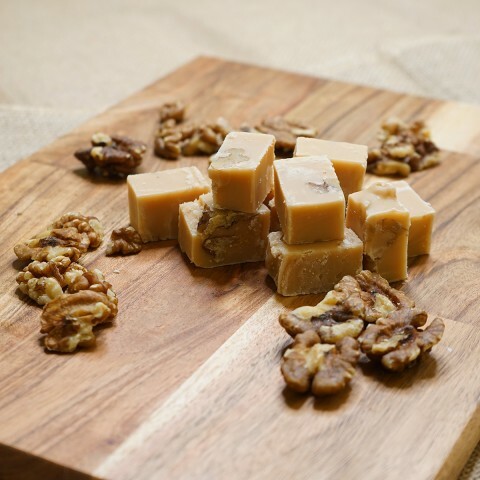 Maple Walnut Fudge is available in two sizes; a 150 gram bag or a 450 gram box.